Creeping Zinnias are low growing (6"-8") spreading, annual groundcover plants that are excellent for borders or rock gardens. They can also be grown in planters or hanging baskets. Sanvitalia produce hundreds of dark centered, bright yellow, ¾"-1" flowers beginning in early summer and lasting until the first frosts of fall. 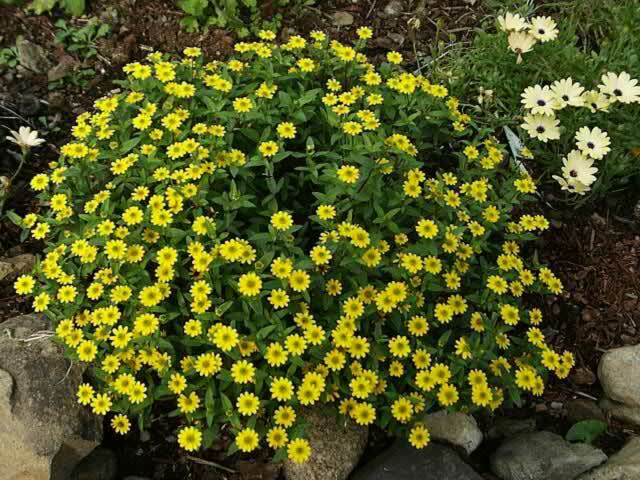 Creeping Zinnia should be grown in full sun or in light shade in hot regions. Fertilize them monthly during the growing season, with an all purpose water-soluble fertilizer. 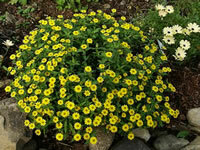 Creeping Zinnias are very heat and drought tolerant. They resent being over-watered. Ideally, Creeping Zinnia seeds should be sown directly where they will grow in the garden after all danger of frost has passed. This is to avoid having to transplant them, which they resent. Seeds may be started indoors 4-6 weeks before the last frost, but care is required when transplanting into the garden. Maintain a temperature of 70° within the growing medium for germination in 10-15 days. Sanvitalia seeds require light for germination, so do not cover them!